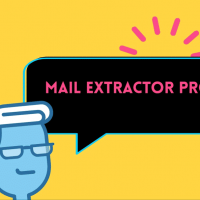 Mail Extractor Pro is an Apple mail to PST converter. Lately, it has been gaining a lot of popularity amongst the users. It surely has gained this credibility due to the exemplary results that it produces. And the credit of course goes to the impeccable technology that works in the background to give out flawless results. An Apple mail to PST converter must have a potent technology as the conversions are quite baroque. However, USL software has worked painstakingly well on this Apple mail to PST converter to make it as simplified for the users as possible. This is reflected in the user-friendly interface of this Apple mail to PST converter. The results are spot-on. There is complete conversion as opposed to the partial conversions that are a constant complaint about the ordinary conversion tools. Everything from the texts in the mails to the attachments, timestamps to the metadata, and even the nested messages get converted. Choosing this Apple mail to PST converter is the best decision a user can make to fulfill his/her conversion needs. 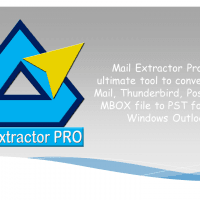 Mail Extractor Pro can convert Apple Mail to PST, Thunderbird to PST, Postbox to PSt and MBOX to PST file format. You can import the converted PST file to Windows & Mac Outlook. On your Mac, install the tool. Once the installation is complete, launch the tool on the screen to begin the conversion process. The next step naturally is to upload the files that are to be converted from Apple mails to the PST file format. Although, typically archiving the mails is a standard step for the ordinary conversion tools, such a step is not required when using Mail Extractor Pro. Here, one can simply utilize the load option appearing next to the Apple mail icon. The loading of the files can be done in two ways. One can either choose auto-load to upload the files from default locations or one can go ahead with manual load option to upload the files from specific locations. Step 4: Selection of the folders is an important step. Here you decide what stays and what you get rid of. Checkboxes appearing against the folders can be selected or unselected as per the conversion demands. One can also ignore the empty folders at this step. Set the PST file size. This size should not preferably go beyond the 15GB mark. Once you are here, you’ve started nearing the end of the process. Click on convert and finalize the location for saving the resultant files after the conversion reaches completion. A log report starts showing the progress of the process on your screen. You can choose to abort at this stage also if you have some alterations to be made. Else the progress bar showing the conversion of Apple mails to PST must continue till a 100% mark. This is how you can convert the Apple mails to PST files using this highly professional conversion tool-Mail Extractor Pro. Click here to download free copy of it. Next story Import Mac Mail into Windows Outlook – Power into Your Hands!